Beautiful Young Woman Dressed As Bride In Fancy Wedding Gown.. Stock Photo, Picture And Royalty Free Image. Image 41868476. 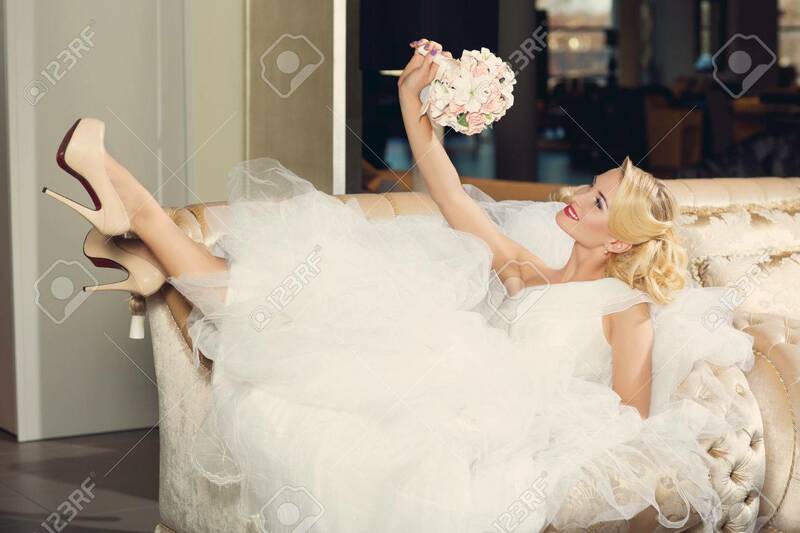 Stock Photo - Beautiful young woman dressed as bride in fancy wedding gown lying on sofa looking at bouquet. Interior shoot. Beautiful young woman dressed as bride in fancy wedding gown lying on sofa looking at bouquet. Interior shoot.